Do you like the Smart Fortwo's style but not the way the powertrain performs? If so, hold on a year or so for the Smart Electric Drive, which we anticipate to be more synch with the urban mission of this minicar. Still stylish and quirky, the 2012 Smart Fortwo can be a fun and useful car for tight urban spaces where its size and maneuverability is an asset; but for even occasional highway driving, nearly any other small car would be a better pick. The 2012 Smart Fortwo two-seater is still rare enough on American roads to be a novelty--and a toylike one at that. 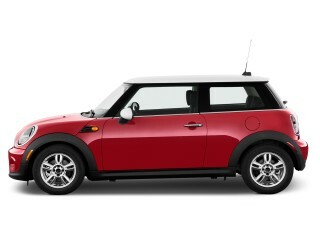 Don't let that put you off too much; it's a real car—competent in the city, and actually fun to drive in urban traffic. But it's definitely a car with a lot of tradeoffs, and after understanding them, many shoppers would be better served by either a more conventional small car or somewhat more expensive hybrid. As before, the 2012 Fortwo is offered in two basic models: a coupe with a fixed roof, and a Cabriolet that has two removable roof panels for a more open-air experience. With its slab sides and non-existent nose, the ForTwo looks wide for its length of less than 9 feet, and taller than some subcompacts. 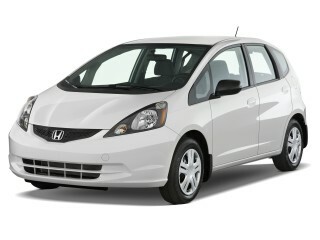 It still can impress, from some angles, as a roller skate on wheels, and especially from the front, it's kind of cute. Last year, the instrument panel in the Fortwo was redone, eschewing much of the early 1990s econobox dash appearance that the Fortwo had been saddled with from the start. Instead it got a mix of textured plastics and brighter matte-metallic-toned trim. The Mitsubishi-sourced, 70-hp, 1.0-liter in-line three-cylinder engine thrums with an idle that sounds uneven but is surprisingly smooth--although it's hard to ignore that it's just behind the seat. Only in its upper ranges does it sound a little thrashy. The Fortwo's single most significant handicap remains its automated manual transmission, which unlike the smooth dual-clutch systems, involves an annoying interruption of power. The rest of the driving experience is surprisingly fun; the manual steering (no, you don't miss power steering here) is communicative, and at city speeds the rear-wheel-drive Fortwo handles with verve and can be whipped around tight corners with confidence. Brakes are consistently great, too. On the highway, sadly, it's a completely different experience. The little Fortwo will cruise at 75 mph or higher, but at highway speeds it feels a little nervous and pitchy. It's best kept to low-speed environments like Manhattan, San Francisco, or as an inner-city commuter car. Out in the suburbs, especially when traffic thins out, the Fortwo's drawbacks—a busy, hard ride, noisy interior, lack of power, and iffy roadholding—become serious issues. 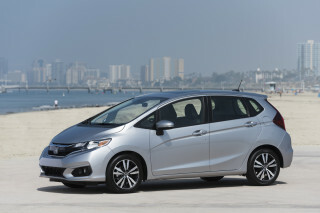 Consider that real-world fuel economy also isn't all that much better than that of other four- or five-passenger subcompact models (we saw 36 mpg overall in our last test) and the 'wow' factor yields to reality. From the moment you first open the door and get in, it's likely you'll appreciate the Fortwo a bit more. Though it's just a two-seater, it can easily accommodate those over six feet tall, with more than enough headroom for all. You sit high, and the seats invite (and are at their most comfortable in) a sort of perched-forward driving position. What's a little more disappointing is the Fortwo's lack of cargo space. There really isn't much space behind the seats except for a modest row of grocery bags. The instrument panel also feels like a flashback to the econoboxes of the 1990s. 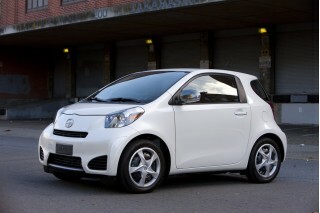 For 2012, Smart has bolstered the Fortwo's equipment list. Seat-net pockets have been added, and there's a new standard interior fabric. Ambient lighting and a cruise-control package are new options, as well as center-console storage, and a new smart 'entryline' radio is also available. Seats sure don't look lavish (upholstery is new for 2012 however), but they're quite comfortable, and we like how straightforward the controls and switchgear are. While the Fortwo rides reasonably well, soaking up major bumps and potholes, this very tall, short car's tendency to pitch fore and aft can be tiresome on longer trips. The Fortwo's final failing is features; at a time when convenience, connectivity, and tech features are what matter most of all to some shoppers, the Fortwo is remarkably barren. The base Pure model doesn't even come with a sound system, though high-end Passion and sporty Brabus models add (pricey) extras. All said, a loaded Fortwo Passion Cabriolet can top $20k. As of July 1, 2011, U.S. sales and marketing authority for Smart was handed over from Penske Automotive Group to Mercedes-Benz USA (an affiliate of Smart's parent company, Daimler); so far for 2012 there have been no other major changes in pricing or positioning, although smart might be offered through more dealerships. The 2012 Smart Fortwo will draw more attention than some of the most striking luxury and supercars, most of it around its tiny 9-foot length. On the street or in traffic, the 2012 Smart Fortwo appears to be almost as wide as it is long, and appears slab-sided. It's taller than other minicars or subcompacts, and it looks its shortest from the side, when its non-existent nose is most obvious. At 9 feet long, it's the shortest car sold in the United States. A silver or black slash outlines the structure of the car, starting at the windshield post, running along and roof rail and down the thick rear pillar to the doorsill. The contrast outlines the opening of the long doors, and draws attention to the tiny car--both the positive and the negative kinds. There are two models of 2012 Smart Fortwo: a two-door fixed-roof coupe, and a Cabriolet with a pair of removable roof panels that give the wind-in-the-hair experience while retaining the structural integrity of the base vehicle. The Cabriolet uses removable roof bars that stow neatly in a compartment in the tailgate, making them the modern-day equivalent of 1970s T-tops. Smart has discontinued its most aggressive Brabus model, but a number of its appearance features--including larger 15-inch alloy wheels--can be ordered as options. Several of them are bundled together in the Style Package, which includes six-spoke alloy wheels, body panels in a choice of metallic colors, and fog lamps. Inside, the dashboard was restyled last year, bringing the Fortwo from the late 1990s into the current decade with some matte metallic finishes, an updated steering wheel design, and new shapes for the dash and door trims. You'll still not mistake the Fortwo for a luxury car by any stretch of the imagination. The 2012 Smart Fortwo is peppy in city driving, not to mention its parking supremacy, but at highway speeds, the tradeoffs in ride, handling, and general security may not be worth it. The 2012 Smart Fortwo offers just one powertrain, a 1.0-liter three-cylinder engine developing 70 horsepower that transmits its power through a five-speed automated manual transmission. At city speeds (40 mph or below), the little Smart is easy to toss around town--not to mention park in the tiniest imaginable spaces. 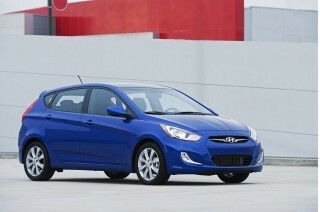 Around town, the engine feels peppy and the shifts keep the engine in its power zone. The tight steering ratio lets you hustle the Fortwo around corners and from lane to lane as fast as any other motor vehicle on four wheels. The transmission may be the least pleasant one we know of in any production car, however. It shifts abruptly, and without an experienced foot modulating the acceleration, the car slams back and forth on its short wheelbase as power is suddenly cut and then restored. And acceleration times revert to the performance of economic cars from the 1980s. The 0-to-60-mph sprint takes an agonizing 13 seconds, for instance. At speed, however, the Smart's advantages in cities work against it in highway travel. The short length, quick steering, and minimal wheelbase create a busy, choppy, twitchy ride, and there's not a lot of power left for emergency maneuvers. The Smart Fortwo is also susceptible to crosswinds, as well as ruts in the road and potholes and bumps. If you're at the wheel doing 70 mph and get sandwiched between semis, you'd better bring a brave heart and great confidence in the Smart's crash-test results. Overall, you have to prioritize the Fortwo's tiny dimensions over its ride comfort, slowness, and decent but unexceptional gas mileage ratings. If you want a balance among all of those factors, the 2012 Smart may not be worth the sacrifices you have to make. The 2012 Smart Fortwo offers a remarkable amount of space for two adults, but at speed, they won't enjoy the travel--the car's noise level, short wheelbase, and busy ride add up to the opposite of refinement. Despite last year's dashboard update, the 2012 Smart Fortwo feels basic and plasticky inside--more like a small pickup truck than an urban cruiser. The accommodations for two people are lavish, with ample headroom for even those occupants well over 6 feet tall and good legroom too. Drivers with broad shoulders may find themselves touching their passenger, however, due to the narrow cabin. Both driver and passenger sit in upright position, on rather short seats, and the steering wheel is more horizontal than in other vehicles. That gives the Smart an odd bus-like driving position, though it's the world's shortest bus. Cargo space behind the seats is very small, holding perhaps only three upright shopping bags. And to be able to fold down the passenger seat for more cargo space, you'll have to specify a folding passenger seat as an option. At highway speeds, conversation is all but drowned out by road noise and engine howl, and the low-output sound system doesn't do much to overcome the roar. Add the Smart's busy, pitchy ride, its susceptibility to sidewinds, and you're looking at a car that embodies the opposite of refinement. The 2012 Smart Fortwo has eight airbags among two passengers, and earns good ratings in IIHS tests--though in a crash test with a larger, heavier car, its occupants didn't fare so well. It may be tiny, but the 2012 Smart Fortwo has eight airbags fitted as standard equipment, despite having only two seating positions. It also includes the usual suite of electronic safety systems, including anti-lock brakes and electronic stability control. The result is that despite its diminutive proportions, the Smart Fortwo does OK in safety ratings. The Insurance Institute for Highway Safety (IIHS) gives the Smart its top "Good" rating for frontal offset, side impact, and roof strength test results, though the rear crash protection is down one notch to "Acceptable." While the maker touts occupant protection equivalent to that of larger vehicles, provided by the "Tridion" safety-cell construction, the IIHS tested that theory by setting up a frontal-offset crash between the larger, heavier Mercedes-Benz E-Class and a Smart Fortwo. The occupants of the smaller car didn't fare particularly well in that situation. The National Highway Traffic Safety Administration (NHTSA) hasn't rated the Fortwo using its new, more stringent testing procedures. So the car is unrated for overall, frontal crash, or side crash tests. The agency does give the car a mediocre three out of five stars for rollover protection. Under the old rating system, the Fortwo achieved top five-star ratings for side impact but earned only three and four stars for frontal impact. On the positive side of the safety ledger, outward visibility is quite good. And, of course, parking the Smart car is ease personified. How vulnerable the driver and passenger feel at speed is a more personal question. The 2012 Smart Fortwo hardly leads the pack on features, and if you want modern infotainment functions, you'll be relying mostly on your smartphone to provide them. It's got style, which creates its own appeal, but the hip urban persona of the Smart isn't matched by the level of equipment and features it offers. It's more like an early-Nineties economy car, with a mediocre audio system and unimpressive appointments. At least the owner's smartphone can now help fill some of the gap. Last year, Smart integrated Bluetooth hands-free connectivity, navigation, and Internet radio into the car--though it requires a special cradle, installed at the dealer, to hold the smartphone that actually provides these capabilities. The Pure level is so basic, it doesn't even include a sound system. It does include keyless entry, a display showing the outside temperature, and a rear-window defroster. 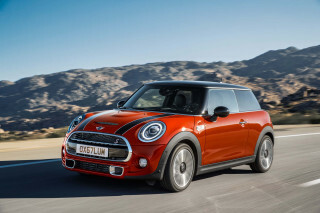 But we expect most buyers to pay for Passion, which adds better-looking alloy wheels, power windows, automatic climate control, and a panoramic roof. It also includes an AM/FM/CD sound system, though at speed you still won't be able to hear much. The premium sound system kicks that up to four speakers, plus a subwoofer; it's an option on Passion coupes, standard on the Cabriolet. Other options run the gamut, from cruise control and electric power steering--in our view, utterly superfluous--to air conditioning, heated seats, and fog lamps.There's also a rain and darkness sensor to operate lights and wipers automatically. But power-operated locks and mirrors aren't offered at all. Special editions always move a few more units, and Smart has its share, most of them offering equipment from the discontinued Brabus performance edition. They always come with special paint colors, and typically bundle a navigation system, higher-performance audio, and alloy wheels, among other features. The 2012 Smart Fortwo is rated at a combined 36 mpg, which is hardly the highest gas mileage on the market; larger and far more comfortable subcompacts come close to the efficiency. The 2012 Smart Fortwo ought to get 60 or 70 miles per hour, if you listen to bystanders. 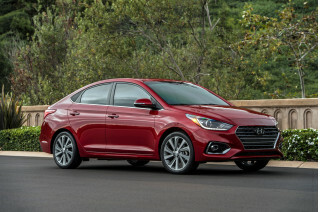 Its small size and tiny 1.0-liter three-cylinder engine would indicate that it gets better fuel economy than any other car for sale in the U.S. Right? Not so much. The EPA rates both coupe and cabriolet models of the Smart Fortwo at 34 mpg city, 38 mpg highway, giving a combined rating of 36 mph. That's lower than most Toyota and Honda hybrids, though they're admittedly pricier. But it's also little better than a number of compact and subcompact models with four doors, four or five seats, and a far more pleasant driving and travel experience--which are relatively close to the price of a Fortwo. 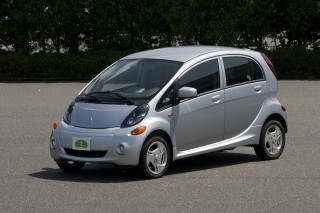 Worse yet, the Smart's little engine requires premium fuel, adding up to 20 cents to the cost of each gallon. A few additional eco-features may tint the tiny Smart slightly greener: Its molded plastic body panels have the color baked in, meaning the cars don't need to be painted. Several interior components are made of synthetic materials that can be entirely recycled. 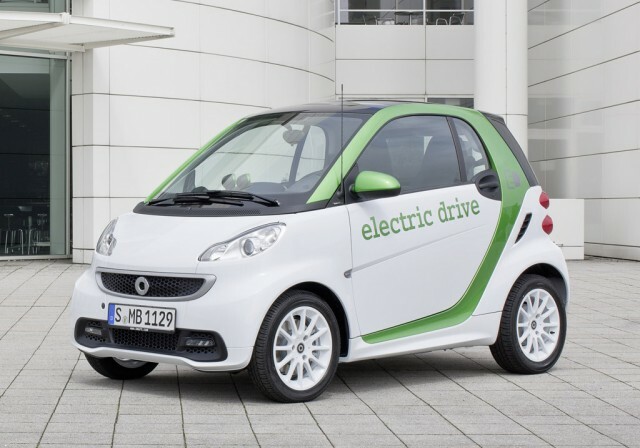 Smart offered an all-electric Fortwo Electric Drive model in 2011, but it's unclear if the battery model--which had a low electric range and minimal performance--will be continued for 2012.